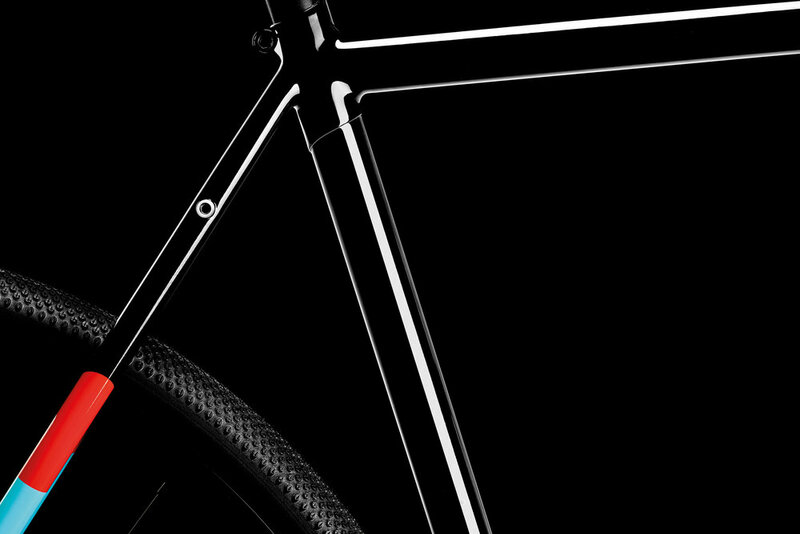 FINISH: Verity came to us with the first frameset under her newly formed brand. Three colours done well. The orange is a RAL standard, while the blue is a custom mix based on an obsolete Mazda reference. Another example of overlapping asymmetrical shapes that add further dynamics at different angles. Extra colour block details on the inside of the fork blades wrap around to become a flourish on the fork outer. Super fineline details on the headbadge applied with an airbrush shows another technical level. Finally a deep piano black under SPI clear polished to an ultra high shine through various stages.